There's nothing like a good board game to get kids through the cabin fever that sets in just before warm weather returns. So, TDmonthly Magazine asked retailers about their best-selling games - take a look at all ten, then decide which would be a good fit for your store. *No manufacturer paid to be included in this list. All products listed were designated by editorial staff without regard to the company's relationship with TOYDIRECTORY.com/TDmonthly Magazine. Everyone gets ten dice. Someone says “Go.” Then everyone rolls and rolls as fast as they can until someone gets all their dice on the same number. It’s a fun, fast frenzy. It’s TENZI. It's "Super-simple to learn & super-fast to play," Steve Mark, executive Dice president of CARMA GAMES, LLC, told TDmonthly. Launch date: April 2011. — In a February 2012 survey about games, Mary Porter Green, owner of The Curiosity Zone in Ashburn, Va., told TDmonthly that she sells 6+ copies of Tenzi each month. — In a February 2013 survey, two out of 11 retailers told TDmonthly that Tenzi was their best selling game. — Glisyn Lewis Jarrells, manager of Imaginations Toy & Furniture in Blacksburg, Va., told TDmonthly in a March 2013 survey that Tenzi is their overall best selling product. They sell around 15 copies of the game each month. — Spot It has been been a top seller for retailers surveyed by TDmonthly since early Spring 2010. — In a March 2012 survey, 3 out of 12 retailers told TDmonthly that Spot It was their overall best selling product, and had been for more than a year. — Dean Smith, Co-owner of JaZams in Princeton, N.J., told TDmonthly in a Summer 2011 survey that he sells 50-60 copies of Spot It each month. To begin, one card is randomly drawn from those not given to players. This is placed in the middle of the table, date-side up and is the starting point of a chronological line which will slowly be built by players. The first player then chooses one of their cards. If the player thinks that the invention on their card came before that of the initial card, the player places their card to the left of the initial card. The player's card is then turned date-side up. If the player was right, it remains on the table. Otherwise, the card is discarded and a new one must be drawn to replace it. Play proceeds clockwise. The more cards which are correctly played, the harder it is to correctly place new ones. — In a February 2014 survey, Julie Steinbach, owner of Rainbow Toys in Falmouth, Maine, told TDmonthly that Timeline from Asmodee was a best-selling game at their store. — David Stelzer, owner of Shananigans in Baltimore, Md., told TDmonthly in an October 2014 survey that Timeline was his store's best-selling tween item. — In a February 2015 survey, two out of 11 retailers told TDmonthly that Timeline was their best-selling game. This pocket-sized story generator is designed to provide hours of imaginative play for all ages. With Rory's Story Cubes®, anyone can become a great storyteller and there are no wrong answers. Players simply roll the cubes and let the pictures spark the imagination. "Rory's Story Cubes is unique because of its simplicity, small packaging, low price point and endless story possibilities. 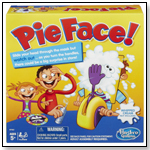 It's a great learning and writing tool that can be played with one person or a large group as a party game," Emily Nichols, marketing coordinator for Gamewright, told TDmonthly. Launch date: March 2010. Awards: 2009 Dr. Toy’s 10 Best Games of the Year; 2010 Major Fun Award; 2010 Parents’ Choice Gold Award, Creative Child Magazine Seal of Excellence Award, iParenting Media Award, Oppenheim Toy Portfolio Gold Award. — As of 12/17/2012 this product had 4.6 out of 5 stars from 306 reviews on Amazon.com. 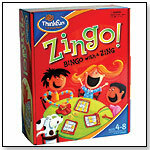 Pros: Helps develop story telling ability; promotes cooperative play; creative; affordable. Cons: One reviewer said they were bored with it after playing a few times, but that it is very affordable. In the Old West, the sly snake oil salesman had a special talent: he could get the most skeptical customer to buy the most dubious product. Now players can have their turn, inventing their own crazy two-word products and selling them to all types of customers. If the customer buys a product, the player wins. With over 280 wild words and 70 oddball customers, players will never run out of new combinations. Launch date: November 2010. — In a late Summer 2012 survey, Charles from Miller's Toys in Mamoronec, N.Y., told TDmonthly that Snake Oil is one of their top-2 best selling card games. They sell about 2 dozen copies a month. — As of 12/6/2012 this product had 5 out of 5 stars from 2 reviews on Amazon.com. Pros: Fun for all ages. — Gary Green, owner of Toy Box of Asheville Inc in Asheville, N.C., told TDmonthly in a February 2015 survey that Snake Oil was his store's best-selling game. — This product has been making the TDmonthly Best-sellers lists since 2007. — As of 05/13/2011 this product had 4.8 out of 5 stars from 456 reviews on Amazon.com. — Eight of 66 retailers vouched for its best-selling status in May 2008; seven of 63 did in Sept. 2008. Shani Watmough of Planet Toys in Rockland, Maine, said her store sells 60 per month. Fifteen of 38 named it a top-selling game in Feb. 2010. — As of April 5, 2010, Bananagrams had spent 570 days in the top-100 best-selling toys and games on Amazon.com. — According to owner Brett Sommer of Figpickels Toy Emporium in Coeur d’Alene, Idaho, “It was the 2009 game of the year. The brilliant packaging definitely helps this product." FIVE CROWNS® by SET ENTERPRISES INC.
— This take-off on Rummy, only with five suits instead of four, sells well for Andy Detling, owner of Whoops! & Co. in Minocqua, Wis. “I noticed more of a return to family games this year,” said Cheri Sims, store manager of White Rabbit Toys in Ann Arbor, Mich., who said this game was one such game that families were stocking up on. — In summer 2007, three of 32 retailers cited Five Crowns as the most popular card game. In August 2008, almost 25 percent of retailers named Set Enterprises as their top-selling card game company; 8 percent listed Five Crowns as a best-selling card game. In late summer 2009, three of 38 retailers cited it as their top-selling card game. In Feb. 2010, four of 38 retailers called it a best-selling game, selling between 3 and 25 units monthly. In an August 2010 TDmonthly survey, three of 43 retailers named Five Crowns a card game best seller. — As of 10.25.10, this product had 5 out of 5 stars from 15 reviews on Walmart.com and was listed as the #3 bestseller in Games & Puzzles. PROS: easy to learn, fun for the whole family. The Settlers of Catan® (4th Edition) by MAYFAIR GAMES INC.
Other products from MAYFAIR GAMES INC. In this game designed by Klaus Teber, three to four players who are immigrants to Catan must develop their colony on the island by establishing roads, villages and settlements and making strategic trades of bricks and lumber, livestock or other commodities to obtain necessary resources. Play takes about 60 to 90 minutes. The first player to 10 points wins. "The new edition was released three years ago and has sold more copies in those three years than the first, second or third editions combined," Bob Carty, Sales & Marketing Director, Mayfair Games, told TDmonthly in early 2010. — In August 2010, five percent of 43 retailers surveyed named The Settlers of Catan an overall top seller. The same month, Steven Levy, owner of Toy City in Keene, New Hampshire, told TDmonthly his store sells approximately three Settlers of Catan games per week. — “It's real easy to teach, and then you just develop strategies from there," Mike Snyder, owner and manager of Cville's Hobbies, Games and Toys in Charlottesville, Va., told TDmonthly in a February 2012 survey about best selling games. Cville's sells 16-20 copies of the game each month. — As of 12/17/2012 this product had 4.7 out of 5 stars from 632 reviews on Amazon.com.